India’s post-Independence economic study can be divided into two parts with 1991 as a cut-off line. The regulated economy restricted India’s potential for forty years. From 1951-52 till 1990-91, India’s GDP grew by 4.2% per annum. The percapita income grew by 2% each year. The Consumer Price Index for almost a two-decade period from 1969-70 till 1990-91 rose by 8.2%. The fiscal deficit of the Central Government from 1980-81 till 1990-91 for a ten-year period was an average of 6.5%. Our external debt was 28.7% of the GDP at the end of the pre-liberalisation period. The liberalisation of the economy not only improved the GDP growth rates but also brought millions of people out of poverty and improved the quality of life of a large number of Indians. While analyzing the above chart, two important facts have to be kept in mind. Firstly, that the average GDP growth of 7.3% during the five years of Prime Minister Narendra Modi is on a much larger base than that of his predecessors. The growth rates are higher. A higher growth rate on a larger base has a multiplier effect. Secondly, during the five years of UPA-2, inflation varied between 12.2% and 8.4%. In 2013-14, the UPA Government left behind an annual inflation figure of 9.4%. It took time for this figure to be moderated. In the five years of Prime Minister Narendra Modi, the inflation figure has been 5.9%, 4.9%, 4.5%, 3.6% and 3.9%. Once it moderated in the first year of the present NDA Government, it has consistently been kept in check. The Modi Government fixed a Statutory Inflation Target of 4% +/- 2% as range of inflation. When Prime Minister Modi came to power, India was the tenth largest economy in GDP terms in the world. Presently, the fifth, sixth and seventh economies namely United Kingdom, France and India are within a very narrow range. A marginal fluctuation of currency values alters the size of the economies. India, of course, is projected to grow next year at 7.5%. This will conclusively ensure that India, at the end of the next Financial Year, could possibly be the fifth largest economy in the world. Needless to say, India’s fiscal discipline during the past five years has been amongst the best as compared to any preceding period. The McKinsey Institute reports that the size of India’s middle-class is growing very fast from 14% in 2005 to 29% in 2015. It is estimated to go all the way to 44% in 2025. With the kind of transfer of resources to rural India which have been made in the past five years, a huge aspirational class is emerging even in the rural areas. This is an indication of what the social profile, purchasing power and the quality of life of Indians are going to have, in the decades to come. To ensure that this happens as projected, it is a pre-requisite that India needs a decisive leadership, consistency in policy direction and a strong and stable government. An unworkable alliance with maverick leadership whose longevity is a suspect can never achieve this. India today is the fastest-growing major economy in the world. Still we are not satisfied with a 7 to 7.5% growth rate. We are increasingly becoming impatient and want to break the 8% barrier. Ease of Doing Business Rankings for 5 years have improved from 142nd position to 77th position. We have now to get into the first 50, if not still lower. The Goods and Services Tax (GST) Council on Thursday, took a slew of decisions aimed at reducing the tax and compliance burden on small and medium enterprises, including increasing the threshold limit below which companies are exempt from GST, extending the composition scheme to small service providers, and allowing small companies to file annual returns. It is the GST Council’s 32nd and last meeting before the Union budget. Union Finance Minister Arun Jaitley announced that the limit for eligibility for the composition scheme would be raised to an annual turnover of ₹1.5 crore from April 1, 2019. Companies opting for the scheme would be allowed to file annual returns and pay taxes quarterly from April 1 onwards. The scheme now allows companies with an annual turnover of up to ₹1 crore to opt for it, and file returns on a quarterly basis at a nominal rate of 1%. So far, only manufacturers and traders were eligible for this scheme. Mr. Jaitley said it was decided to extend the scheme to small service providers with an annual turnover of up to ₹50 lakh, at a tax rate of 6%. Regarding the annual turnover limit under which the GST would not be applicable if the company so chooses, he said the limit had been raised to ₹40 lakh for most States and ₹20 lakh for the north-eastern and hill States, from the earlier limit of ₹20 lakh and ₹10 lakh, respectively. 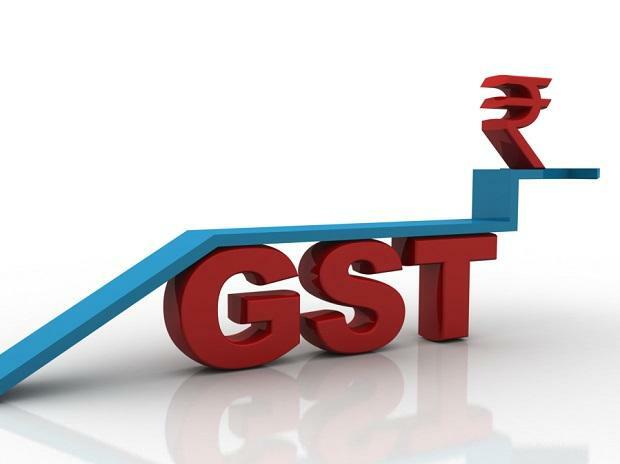 The GST Council also decided to allow Kerala to levy a cess of up to 1% for up to two years on intra-State supplies to help finance the disaster relief efforts following the recent floods. As there were diverse and differing opinions on taxing real estate and lotteries, the GST Council decided to set up to separate Groups of Ministers to look into the issue and present their assessment to the Council, Mr. Jaitley said. All the lies spoken on the Rafale deal has been exposed. The Supreme Court judgement is clear. Every word said against the Government has proved to be false. Every “fact” stated by the vested interests against the deal has proved to be manufactured. Truth has once again established its primacy. The creators of falsehood will still persist with falsehood even at the cost of their own credibility. Only their captive constituencies will clap. Rafale is a combat aircraft with its weaponry required to improve the strike ability of the Indian Airforce. India is geographically located in a sensitive region. It needs to protect itself. The need for such a weapon cannot be overstated. When such defence equipments are purchased obviously some suppliers loose out. The suppliers are clever people. They understand who the “vulnerables” in India are. As a political opponent Rahul Gandhi’s opposition to the deal was a desperate attempt. It was the UPA Government which had shortlisted the Rafale as it was technically the best and the cheapest. PM Modi in an Inter- Governmental agreement struck a deal with the French Government to further improve the terms and conditions including the prices on which the UPA had agreed. Firstly, he could not tolerate the fact that PM Modi has run the cleanest ever Government in recent Indian history. It is a scam-free Government where middlemen and scamsters had to take refuge outside the country. Secondly, Rahul Gandhi has the burden of a stigmatised legacy which was tainted by Bofors. He was desperate trying to bring an ‘immoral equivalence’ between Rafale and Bofors. But Rafale did not have middlemen, no kickbacks and obviously no Ottavio Quattrocchi. Thirdly, with international cooperation and Governmental cooperation, scamsters of the UPA Government are now being extradited into India. There is obviously a scare of who will talk how much. Rahul Gandhi got instant support from the “career nationalists” of Lutyens Delhi. The permanent PIL petitioners have always preferred disruptions over concerns of national security. They are willing to cooperate with any one who hurts India. A new job creation has taken place in Delhi with the “loud mouths on hire” and “subject experts” notwithstanding their conflict of interest. The disruptionists alliance was, therefore, quite wide. The fundamental truth that Bofors was a choice both for quality and price by the UPA was forgotten. The first lie was that only one man – the Prime Minister decided the transaction and that no discussion with the Air Force, Defence Ministry or the Defence Acquisition Council was held. It was alleged that there was no Price Negotiation Committee, no Contract Negotiation Committee and no approval of the Cabinet Committee on Security. Every fact was false. There were dozens of meetings of Contract Negotiation Committee and Price Negotiation Committee. The bulk of the negotiations were done by the experts of the Air Force and the transaction was cleared by both the Defence Acquisition Council and the Cabinet Committee on Security. The judgement of the Supreme Court notes with satisfaction that procedural compliances have been done and the charges on the same are misconceived. The second major lie was that as against 500 Million Euros negotiated by the UPA, the NDA paid 1600 Million Euros per aircraft. This accusation was ‘fiction writing’ and a poor one at that. The Government submitted a sealed cover before the Supreme Court giving details in a comparative chart of the UPA era pricing and the present pricing. It showed that for the first aircraft, Government negotiated a 9% cheaper deal for a bare aircraft and 20% cheaper for a weaponised aircraft compared to the UPA. Since the UPA had negotiated the supply of 18 aircrafts, this gain of 9% and 20% would have further expanded with the supply of aircrafts after the first one since a more favourable escalation clause negotiated by the NDA Government would have further widened the price gap. The Court looked into the prices and never commented adversely on the same. The third major lie that the judgement of the Court expressed was that the Government of India favoured a particular business house. The Court noticed that the Government has nothing to do with the choice of the offset suppliers which was entirely done by Dassault. After the Court judgement, this debate should have come to an end. But neither lobbyists nor political opponents will ever give up their brief. The opponents of Rafale had a choice of their forum to put their facts, they chose Supreme Court as their forum. The Court conducts a judicial review, it is a non-partisan, independent and a fair Constitutional authority. The Court’s verdict is final. It can’t be reviewed by anyone except by the Court itself. How can a Parliamentary Committee go into the correctness or otherwise to what the Court has said. Is a Committee of Politicians both legally and in terms of human resources capable of reviewing issues already decided by the Supreme Court? On areas such as procedure, offset suppliers and pricing, can a Parliamentary Committee take a different view of what the Court has said? Can the contract be breached, nation’s security be compromised and the pricing data be made available to Parliament / its Committee so that national interest is severely compromised with? This would be putting the price details of the weaponry in public domain. What was the experience of Joint Parliamentary Committee (JPC) on the only occasion when they investigated a defence transaction? The B. Shankaranand Committee in 1987-88 went into the Bofors transaction. Since Parliamentarians are always split on party lines, it came out with a finding that no kickbacks were paid and the monies paid to the middlemen were ‘winding up’ charges. At that time only Win Chaddha appeared to be a middlemen. But then others including OttavioQuattrocchi, whose bank accounts got detected subsequently, were not entitled to any winding up charges. The reports / documents published by Chitra Subramanium and N. Ram in ‘The Hindu’ and all subsequent facts which came to light conclusively established each fact mentioned in the JPC to be factually false. It became a cover up exercise. After the Supreme Court has spoken the last word, it gets legitimacy. A political body can never come to a finding contrary to what the Court has said. Defence transactions go to the CAG for an audit review. CAG recommendations go to Parliament and are referred to the Public Accounts Committee (PAC) whose reports are then placed before the Parliament. This was factually and accurately stated by the Government before the Court. The audit review of Rafale is pending before the CAG. All facts are shared with it. When its report is out, it will go to the PAC. Notwithstanding this factually correct statement made, if an ambiguity has emerged in the Court Order, the correct course is for anyone to apply / mention before the Court and have it corrected. The past practice is that if in a factual narration anything needs to be corrected, any litigant can move to the Court for the same. This has been done. It must now be left to the wisdom of the Court to state at which stage the CAG review is pending. The CAG review is not relevant to the final findings on procedure, pricing and offset suppliers. But bad losers never accept the truth. Having failed in multiple lies they have now started an innuendo about the Judgement. Having failed in their initial falsehood, the Congress is now manufacturing further lies about the Judgement. I am certain that the Congress Party will prefer disruptions over discussion on Rafale during the current session of Parliament. On facts it lied. The judgement of the Supreme Court conclusively establishes the Congress Party’s vulnerabilities in a discussion on defence transactions. It will be a great opportunity to remind the nation of the legacy of the Congress Party and its defence acquisitions – a great opportunity indeed for some of us to speak. Considering the security environment around India, the highest standards of defence preparedness are required. After the Kargil experience, the Armed Forces and the Raksha Mantralaya were of the opinion that combat ability of the Indian Air Force to strike at targets needs to be radically improved. This need was first recorded by the Raksha Mantralaya in the year 2001. Considerations of the national security demanded that the IAF has the best available aircraft with the appropriate weaponry loaded on it. In principle approval for acceptance of necessity of procurement of 126 replacement aircrafts was recorded by the Raksha Mantri way back on 1st June, 2001. After the UPA Government came into power, the Defence Acquisition Council (DAC) approved the Acceptance of Necessity (AoN) for procurement of 126 medium multi-role combat aircrafts. An aircraft without weaponry is of little use in a war. It is only a flying instrument. It adds to the combat strength of the forces only when it is loaded with the requisite weaponry, which enables it to strike targets. The UPA Government issued a request for proposal on 28th August, 2007 and found two vendors, viz., M/s Dassault Aviation and M/s EADS to be compliant to the RFP requirements. It took the UPA five more years to commence the negotiations and in January, 2012 the Contract Negotiation Committee (CNC) determined Dassault Aviation to be L1. For reasons best known to the UPA Government, on 27th June, 2012, the deal was directed to be re-examined, which effectively meant that the entire eleven-year exercise was abandoned and the process was to be undertaken afresh. India’s squadron strength was depleting because of age. This slow and casual approach of the UPA Government seriously compromised national security requirements. 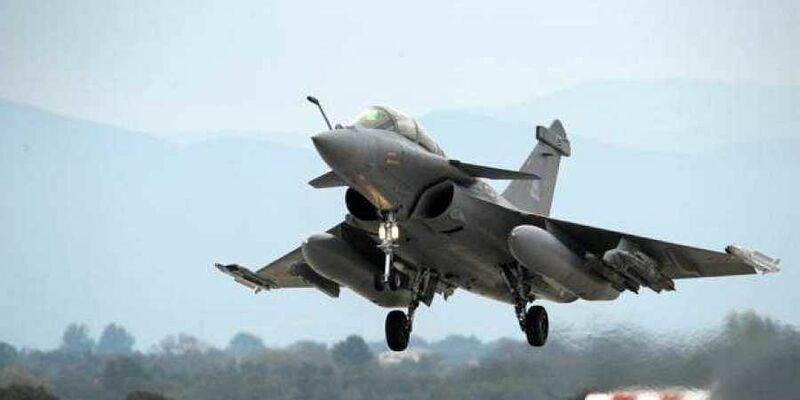 On 10th April, 2015, the Government of India and the French Government issued a joint statement where India decided to procure 36 Rafale aircrafts from the French Government on terms better than the ones conveyed by Dassault in the L1 bid of 2007. The same was approved by the DAC on 13th May, 2015 and finally the agreement, after a detailed procedure, was signed on 23rd September, 2016. (i) The NDA Government paid higher price than what the UPA would have paid if the deal would have completed on the basis of the 2007 offer of Dassault. (ii) Proper procedures such as negotiations by the Contract Negotiation Committee and approval of the Cabinet Committee on Security (CCS) were not obtained. (iii) A private industrialist in India was favoured and the interest of public sector undertaking was compromised. (i) The UPA delayed the deal by over a decade and seriously compromised national security. (ii) Every fact that Shri Rahul Gandhi and the Congress Party has spoken on pricing and procedure are completely false. (iii) Its effort of raising these issues is to further delay a defence procurement so that India’s defence preparedness further suffers. (1) The UPA was a Government which suffered from a decision- making paralysis. Do you agree that the delay of over one decade was only on account of the incompetence and indecisiveness of the UPA Government? (2) Did this delay seriously compromise national security? Is not the medium multi-role combat aircraft required by our forces to identify and strike at targets particularly when two of our neighbours have already enhanced their strength in this area? (3) Was this delay and eventual abatement of the purchase by the UPA based on collateral considerations as had been witnessed in earlier transactions such as the purchase of the 155 mm Bofors gun? (4) How is it that Shri Rahul Gandhi quoted a price of Rs.700 crores per aircraft in Delhi and Karnataka in April and May this year? In Parliament, he reduced it to Rs.520 crore per aircraft, in Raipur he increased it to Rs.540 crores; in Jaipur he used the two figures – Rs.520 crores and Rs.540 crores in the same speech. In Hyderabad, he invented a new price of Rs.526 crores. Truth has only one version, falsehood has many. Are these allegations being made without any familiarity with the facts of the Rafale purchase? (5) Is Mr. Gandhi or the Congress Party aware of price comparison? Is Mr. Gandhi aware of the aircraft price, which was quoted in 2007 in the L1 bid? Is he aware that there was an escalation clause, which by 2015 when the NDA struck the price deal, would have further escalated the price? Would not the escalation clause have continued to escalate the price till each of the aircraft was supplied? Have the significant exchange rate variations between Rupee and Euro during the same period been considered? (6) Is he aware of the fact that if the basic aircraft price on which UPA was to purchase the aircraft along with the escalation clause is compared at the price with the better terms on which the NDA Government signed the deal. The basic aircraft price itself is 9% cheaper under the NDA than it was under the UPA? (7) Can Shri Rahul Gandhi deny that when the add-ons such as India-specific adaptations, weaponry, etc. are installed on the basic aircraft, the UPA price, which was mentioned in the 2007 L1 offer, would be at least 20% costlier than the more favourable price negotiated by the NDA? (8) Can Shri Rahul Gandhi and the Congress Party deny if the total contract cost, that is, basic aircraft plus add-ons, including weaponry, etc., Indian adaptations plus future supplies and maintenance are all added, the NDA terms become far more favourable than the 2007 L1 offer? (9) Can Shri Rahul Gandhi and the Congress deny that the Government of India has no contract whatsoever with any private industry in relation with the Rafale aircraft supplies? In fact, 36 of the Rafale aircraft with their Indian adaptations are going to be sent to India and there is no manufacturing of these 36 aircrafts in India. (10) Any Original Equipment Manufacturer (OEM) under the offset policy of the UPA can select any number of Indian partners, both from the private sector and the public sector, for offset supplies? This has nothing to do with the Government of India and, therefore, any private industry having benefitted from the Government of India is a complete lie. Can Shri Gandhi and his Party deny this? (11) Are Shri Gandhi and his Party aware of the fact that there are two ways of acquiring a defence equipment, i.e., either by competitive bidding or by an Inter-Governmental Agreement? (12) Can Mr. Gandhi and his Party deny that the UPA Government in 2007 itself had shortlisted the Rafale as technically- acceptable and L1 in price competition? (13) Can Shri Gandhi and his Party deny that considering the urgency of the defence requirement, the Government of India and the French Government agreed to execute the supply of 36 Rafale aircrafts at terms better than the 2007 offer of the UPA? (14) Can it be denied that both the Price Negotiation Committee and the Contract Negotiation Committee negotiated for 14 months before concluding the deal? (15) Can it be denied that before the deal was executed, the Cabinet Committee on Security approved the transaction? I am asking the above questions and I hope Shri Rahul Gandhi and the Congress Party would respond immediately. Finance Minister Arun Jaitley presents his Budget for the year 2018-19 in Parliament. The budget is largely focused on uplift of agricultural sector, along with major push to healthcare and education sectors in the country. The Budget of 2018 is India’s first after the implementation of the Goods and Services tax (GST) in June last year. Below are Highlights of Budget 2018-19. The Union Minister for Finance and Corporate Affairs, Shri Arun Jaitley departs from North Block to Rashtrapati Bhavan and Parliament House, along with the Minister of State for Finance and Shipping, Shri P. Radhakrishnan, the Minister of State for Finance, Shri Shiv Pratap Shukla and the senior officials to present the General Budget 2018-19, in New Delhi on February 01, 2018. * Arun Jaitley proposed to tax long term capital gains exceeding Rs 1 lakh at 10 per cent without indexation. * Mobile phones set to become costlier as custom duty on them has been increased to 20 per cent. * Health and education cess has been increased to 4 per cent. * FM Jaitley proposes to introduce tax on distributed income by equity oriented mutual funds at 10 per cent. * Arun Jaitley says that the government does not propose any changes in tax slabs for the salaried class this year. * FM proposes a fiscal deficit of 3.3% of GDP for 2018-19. * Jaitley also proposes automatic revision of emoluments of Parliamentarians every five years, indexed to inflation. * We have already exceeded our disinvestment target, announces Arun Jaitley. Disinvestment target for 2017-18 has been exceeded and will reach Rs 1 lakh crore. Target for 2018-19 is Rs 80,000 crore. * 5 lakh WiFi hotspots will be set up in rural areas to provide easy internet access. * Government will take all steps to eliminate use of cryptocurrencies which are funding illegitimate transactions. * Airport capacity to be hiked to handle 1 billion trips every year. * Arun Jaitley says that 4,000 km of new railway track will be laid down by 2019. * All railways stations with footfall more than 25,000 to have escalators, says the Finance Minister. * Mumbai transport receives Rs 40,000 crore. * The government will undertake redevelopment of 600 major railway stations across the country. * Arun Jaitley announces capital expenditure of Rs 1,48,528 crore for Indian Railways in 2018-19. * National Heritage City Development Augmentation Scheme has been undertaken to preserve and protect heritage cities in the country, announces the Finance Minister. * MSME enterprises are a major element for growth, says Jaitley. He also added that mass formalisation of MSME sector is happening after demonetisation and GST. * Govt will launch health scheme to cover 10 crore poor families, Arun Jaitley says. * Government aims to bring 60 crore bank accounts under the Jan Dhan Yojana. * Rs 600 crore allocated to Tuberculosis patients undergoing treatment. * Govt will set up two new Schools of Planning and Architecture, says Finance Minister Jaitley. * To tackle brain drain, Jaitley announces scheme to identify bright students pursuing B Tech in premiere engineering institutes, and providing them higher-education opportunities in the IITs and IISc. These students will receive handsome fellowships, and will be expected to dedicate a few hours to teach in higher education institutions weekly. * Specialised railway university to be set up at Vadodara. * Jaitley proposed integrated BEd programme for teachers: “training of teachers during service is essential.” Technology will be the biggest driver in improving the quality of education. * Budget allocates money for social security and protection programme for all widows and orphaned children. * We have a target to provide all Indians with their own homes by 2022, says Jaitley. * Ujjwala scheme to amplify targets, will now provide 8 crore rural women free LPG connections. * Air pollution in Delhi-NCR has been a cause of concern, govt has proposed subsidised machinery for in-situ management of crop residue in Punjab, Haryana, Uttar Pradesh and NCT Delhi. * Govt of India will take necessary measures to put in place measures for the state government to purchase surplus solar power produced by local farmers at sutiable prices. * Arun Jaitley proposes a sum of Rs 500 crore for ‘Operation Green’ on the lines of ‘Operation Flood’. * Food processing sector is going at an average of 8 per cent per annum. * Arun Jaitley on Minimum Support Price of agricultural products: Only increasing the MSP is not enough, the government will fix the MSP of agricultural products at 1.5 times the market rate. * Our emphasis is on generating higher benefits and productive employment for the farmers: Jaitley while addressing the agricultural sector in his Budget speech 2018. * Our government has worked sincerely, and without weighing the political costs, hoping that benefits are delivered to people at their doorsteps. The Direct Benefit Transfer system of India is a success story that is reiterated across the world: Jaitley. * This year’s Budget will particularly focus on agriculture, says Jaitley. * The finance minister also pointed out that India is one of the fastest-growing economies in the world. * Indian economy has performed very well since our government took over in May 2014, says Arun Jaitley. * Arun Jaitey recalls the measures — like GST, FDI, demonetisation, etc. — taken by the NDA government in the past four years that have impacted the economy of the country. Vijay Rupani is tipped to continue as Gujarat Chief Minister while five-time MLA and a former State Minister Jairam Thakur is the front runner for the CM’s chair in Himachal Pradesh. Senior BJP leader Arun Jaitley and party general secretary Saroj Pandey are to reach Ahmedabad as observers on December 22 for selecting the State legislature party leader who will be the Chief Minister. Nirmala Sitharaman and Narendra Singh Tomar have been deputed as observers for the selection of CM in Himachal Pradesh. As in the case of Rupani in Gujarat, Prem Kumar Dhumal had been officially named as the CM candidate in Himachal Pradesh . But he lost by more than 3,000 votes to his one-time protégé and now arch-rival Rajinder Rana from Sujanpur. . According to sources, Thakur could be tipped for the top post as he has “all the credentials” to fit the bill as the State CM. “He has been an organisational man throughout, a State president and a Minister,” they said. “If he is picked as CM it would be in tune with party’s ‘thinking’ to promote new leaders,” sources said. Considered a low-profile politician, Thakur,52, has been elected for 5th term to the State Assembly . He had served as a Cabinet Minister under Dhumal and held portfolios of Rural Development and Panchayati Raj. He was State party president from 2007 to 2009 . This time round, Thakur won from Seraj constituency (62 km South from the Capital Shimla) by defeating Chet Ram of Congress, winning by 11,254 votes, his biggest victory margin thus far. The BJP lost three out of five seats in Hamirpur, the home district of the Dhumal family. Union Health Minister Jagat Prakash Nadda, a Brahmin, who also held ministerial portfolio under Dhumal had earlier denied that he was in the race for the CM post. After Prime Minister Narendra Modi praised the performance of the State Government following BJP’s win in Gujarat, it is assumed that Rupani will get another chance to rule the State. Rupani took over Chief Minister on August 7, 2016, just 15 months before the Assembly polls. At that time pro-quota Patidar agitation led by Hardik Patel was at its peak and Alpesh Thakore and Jignesh Mevani had already emerged as OBC and SC leaders post Dalit flogging incidence in Una. If these were not enough, the Central Government’s two moves-demonetisation and GST- a section of the business community angry with the BJP. In such adverse political situation all he required to do was damage control. Rupani utilised the organisational skills he had gained as Saurashtra-Kutch in-charge of BJP and successfully diluted effects of Patidar, OBC and Dalit agitations. He could also pacify protests of trading communities. On personal front, he had challenge to retain his seat as Congress pitted a ‘moneybag’ Indranil Rajguru against him. Political analyst thought the Rajkot West constituency, which is traditional BJP bastion could, now be under threat. However, Rupani emerged victorious by a huge margin of nearly 54,000 votes. “Though he belongs to Jain Bania community which is not even two per cent of Gujarat’s population, yet his ‘down-to-earth’ attitude made him acceptable across the communities. At a time when party’s strength in the House has gone below 100, it requires a leader who can carry everyone together ,” said a senior BJP leader in Ahmedabad. Others names doing the rounds for the coveted include Karnataka governor Vajubhai Vala and Deputy Chief Minister Nitin Patel who belong to OBC and Patidar communities respectively. In fact, Vala’s name surfaced after unconfirmed reports that his secretariat in Bengaluru suddenly cleared all pending files. It was Vala who vacated one of the most secured Assembly constituencies in the State Rajkot West in 2002 February when Modi wanted to contest first ever election of his life. Although Modi was keen to contest from Ellisbridge seat in Ahmedabad but the late Haren Pandya refused to vacate his seat. Names of former Finance Minister Saurabh Patel as well as Union Ministers Parashotam Rupala and Mansukh Mandavia are also doing the rounds. In what should come as a relief to exporters and small businesses, the GST Council announced a slew of decisions to reduce their compliance burdens, including the eventual setting up of an e-wallet for input tax credits for exporters, and the option for small businesses to file returns and pay taxes only once a quarter. The changes come two days after Prime Minister Narendra Modi said he had instructed the Council to find solutions to the problems being faced by the trading community. The GST Council also reduced the tax rates on 27 items, Finance Minister Arun Jaitley said. “The committee of secretaries set up to look into the problems faced by the exporters found that the credit blockage felt by exporters was causing a liquidity problem for them,” Mr. Jaitley told reporters following the 22nd GST Council meeting. The third decision regarding exporters taken by the Council is to impose a nominal 0.1% GST rate for them till March 31, 2018, Mr. Jaitley said. The e-wallet system is expected to rollout from April 1, 2018, he added. The Finance Minister announced that the composition scheme — meant to ease compliance for small businesses — will be extended to businesses with a turnover of ₹1 crore a year from the previous limit of ₹75 lakh. In addition, the Council has decided that all businesses with a turnover of ₹1.5 crore or less a year, can file their returns and pay taxes on a quarterly basis instead of a monthly basis. Mr Jaitley said this would reduce the compliance burden for 90% of the taxpayers not already in the composition scheme. Revenue Secretary Hasmukh Adhia however, clarified that this will roll out from October 1. However, the GSTR-3B form will have to be filed monthly till December, he said. The GST Council has also set up a Group of Ministers to look into various issues — including whether, when calculating the tax burden of a business, its total turnover should be considered or should exempted goods first be excluded. The GoM will also look into whether those who opt for the composition scheme should be allowed inter-state trade. The third aspect the GoM will analyse is whether the rate of tax on restaurants needs to be reduced or should they not be allowed input tax credits. The GoM is to submit its report in two weeks. The Council has decided to reduce the rates on several items, including sliced dried mangos, khakhra and plain chappatis, unbranded namkeen, unbranded ayurvedic medicines, plastic, rubber and paper waste, yarn, diesel engine parts, pump parts, e-waste, and several services. Federation of Indian Export Organisations (FIEO) President Ganesh Kumar Gupta said the changes and initiatives announced by the Government following the GST Council meeting will address the problems of the exporters particularly those in micro and small segments. The refund of GST for July by October 10 and August by October 18 will address the liquidity concerns of the exporters, he said in a statement. Welcoming the decision to introduce e-wallet, mooted by FIEO, he said it will provide a permanent solution to the liquidity problem of the export sector. The Government has also resolved the problem of merchant exporters by putting a duty of 0.1% on any supply from manufacturing to merchant, he said, adding that these are very pragmatic decisions showing the flexible approach of the Government to ameliorate the problems of export sector and impart competitiveness. The FIEO President said these decisions will help in pushing exports on a growth path. Finance Minister Arun Jaitley on Thursday tore into former finance minister and BJP veteran Yashwant Sinha for his criticism of the government’s handling of the economy. Without mentioning Mr Sinha, Mr. Jaitley referred to him as a ‘job applicant’ who appeared to be working in tandem with another ex-finance minister P. Chidambaram and had the ‘luxury of being a columnist’. “I have some very distinguished predecessors in my present job, one of whom is a former president (Pranab Mukherjee), one is a former Prime Minister (Manmohan Singh) — and I am certainly not referring to them. The others have decided to act in concert. Speaking on persons and then bypassing the issues is very easily done,” the Minister said after launching a book co-edited by the Chairman of the Prime Minister’s Economic Advisory Council and Niti Aayog member Bibek Debroy and Press Secretary to the President, Ashok Malik. Stressing that the government’s efforts over the past three years have been focused on ensuring that the benefits of growth percolate to the poor and improve their quality of life while dispelling the policy paralysis, Mr. Jaitley red-flagged the abandonment of the centrist space by the Congress and the emergence of an ideological polarisation in the country caused by a convergence between the ultra-left and extreme Jihadi elements. “We want each village to be connected by road by 2019, electrified by early next year, and each house to get a power connection by 2018-end… The entire additional resources that come from growth are blended with the needs of this section. This is how we visualise India at 70. Obviously, when India is at 70, there are always attempts to change the narrative,” he said. “I must confess that I do not have the luxury as yet of being a former finance minister; nor do I have the luxury of being a former finance minister who’s turned columnist. Therefore, I can conveniently forget a policy paralysis, I can conveniently forget the 15% NPAs (non-performing assets) of 1998-2002, I can conveniently forget the $4 billion forex reserves left in 1991 and I can switch over and change the narrative,” Mr Jaitley said, in an oblique reference to Mr Sinha’s article questioning the Finance Minister’s performance. Nirmala Sitharaman who took charge as the Defence Minister on Thursday said she would focus on military preparedness, ‘Make in India’ and the welfare of soldiers. “My priority will definitely be the armed forces preparedness. It is important that the Indian armed forces receive the attention in terms of giving them every endowment and equipment necessary for them to perform their duty with the best of equipment available,” she said in a message after assuming charge. She took charge of the Ministry from Finance Minister Arun Jaitley who was holding additional charge since March at South Block, becoming the first full-time woman Defence Minister of the country. Speaking later at her first engagement, at event organised by the Defence Research and Development Organisation (DRDO) said it was a privilege to hand over indigenous products on her first engagement after assuming office. The DRDO event which also attended by Home Minister Rajnath Singh saw the handing over of armoured bus, bullet proof jacket, Unmanned Arial Vehicles (UAV) and small arms among others to Central Armed Police Forces (CAPFs). She took charge of the Ministry from Finance Minister Arun Jaitley who was holding additional charge since March at South Block, becoming the first full-time woman Defence Minister of the country. Speaking later at her first engagement, at event organised by the Defence Research and Development Organisation (DRDO) said it was a privilege to hand over indigenous products on her first engagement after assuming office. Mr. Singh noted that all the media has complimented Ms. Sitharaman as India’s first full-time defence minister and said with her defence Ministry will get a energy and direction. Noting that the country’s “import dependence has gone up,” Mr. Singh said that the systems being developed by DPSUs under the ‘Make in India’ initiative will reduce the dependence. Observing that defence procurements for Home Ministry are done through defence ministry, he said these delayed for the CAPFs. “We need a framework for the supply of defence equipment to CAPFs,” he said. Ms. Sitharaman was elevated to the Cabinet rank and given the defence portfolio. The President of India, as advised by the Prime Minister, has directed the allocation of portfolios among the members of the Union Council of Ministers. This is the third Cabinet reshuffle of Modi government. Here are the key additions and changes in portfolios that happened during the reshuffle in the Council of Ministers. Nirmala Sitharaman is Minister of Defence. She will be the first full-time woman Defence Minister and the second woman to hold this post after Indira Gandhi, who held additional charge. Arun Jaitley, who earlier held the Defence portfolio as additional charge, will continue to be the Minister of Finance and Minister of Corporate Affairs. Suresh Prabhu is Minister of Commerce and Industry. Nirmala Sitharaman was Minister of State for Commerce and Industry with independent charge. Piyush Goyal is Minister of Railways and Minister of Coal. The Railways ministry was earlier headed by Suresh Prabhu. Nitin Gadkari is Minister of Road Transport and Highways; Minister of Shipping; and Minister of Water Resources, River Development and Ganga Rejuvenation. Dharmendra Pradhan is Minister of Petroleum and Natural Gas; and Minister of Skill Development and Entrepreneurship. Mukhtar Abbas Naqvi is Minister of Minority Affairs. He had independent charge of the Ministry as a Minister of State earlier. Uma Bharti is Minister of Drinking Water and Sanitation. Her previous portfolio of Water Resources and Ganga Rejuvenation has been given to Nitin Gadkari. Rajyavardhan Rathore is Minister of State (Independent Charge) of the Ministry of Youth Affairs and Sports; and Minister of State in the Ministry of Information and Broadcasting. Vijay Goel earlier held Independent Charge of this portfolio. Hardeep Singh Puri is Minister of State (Independent Charge) of the Ministry of Housing and Urban Affairs. Alphons Kannanthanam is Minister of State (Independent Charge) of the Ministry of Tourism; and Minister of State in the Ministry of Electronics and Information Technology. P. Radhakrishnan is Minister of State in the Ministry of Finance; and Minister of State in the Ministry of Shipping. Raj Kumar Singh is Minister of State (Independent Charge) of the Ministry of Power; and Minister of State (Independent Charge) of the Ministry of New and Renewable Energy. Shiv Pratap Shukla is Minister of State in the Ministry of Finance. Ashwini Kumar Choubey is Minister of State in the Ministry of Health and Family Welfare. Virendra Kumar is Minister of State in the Ministry of Women and Child Development; and Minister of State in the Ministry of Minority Affairs. Ananth Kumar Hegde is Minister of State in the Ministry of Skill Development and Entrepreneurship. Gajendra Singh Shekhawat is Minister of State in the Ministry of Agriculture and Farmers Welfare. Satya Pal Singh is Minister of State in the Ministry of Human Resource Development; and Minister of State in the Ministry of Water Resources, River Development and Ganga Rejuvenation. All other portfolios not allocated to any Minister. 1. Shri Raj Nath Singh Minister of Home Affairs. 2. Smt. Sushma Swaraj Minister of External Affairs. Minister of Water Resources, River Development and Ganga Rejuvenation. 5. Shri Suresh Prabhu Minister of Commerce and Industry. 6. Shri D.V. Sadananda Gowda Minister of Statistics and Programme Implementation. 7. Sushri Uma Bharati Minister of Drinking Water and Sanitation. 8. Shri Ramvilas Paswan Minister of Consumer Affairs, Food and Public Distribution. 9. Smt. Maneka Sanjay Gandhi Minister of Women and Child Development. Minister of Electronics and Information Technology. 12. Shri Jagat Prakash Nadda Minister of Health and Family Welfare. 13. Shri Ashok Gajapathi Raju Pusapati Minister of Civil Aviation. 14. Shri Anant Geete Minister of Heavy Industries and Public Enterprises. 15. Smt. Harsimrat Kaur Badal Minister of Food Processing Industries. 17. Shri Chaudhary Birender Singh Minister of Steel. 18. Shri Jual Oram Minister of Tribal Affairs. 19. Shri Radha Mohan Singh Minister of Agriculture and Farmers Welfare. 20. Shri Thaawar Chand Gehlot Minister of Social Justice and Empowerment. Minister of Information and Broadcasting. Minister of Environment, Forest and Climate Change. 23. Shri Prakash Javadekar Minister of Human Resource Development. Minister of Skill Development and Entrepreneurship. 26. Smt. Nirmala Sitharaman Minister of Defence. 27. Shri Mukhtar Abbas Naqvi Minister of Minority Affairs. Minister of State in the Ministry of Chemicals and Fertilizers. 2. Shri Santosh Kumar Gangwar Minister of State (Independent Charge) of the Ministry of Labour and Employment. 3. Shri Shripad Yesso Naik Minister of State (Independent Charge) of the Ministry of Ayurveda, Yoga and Naturopathy, Unani, Siddha and Homoeopathy (AYUSH). Minister of State in the Department of Space. Minister of State in the Ministry of Environment, Forest and Climate Change. 6. Shri Giriraj Singh Minister of State (Independent Charge) of the Ministry of Micro, Small and Medium Enterprises. Minister of State in the Ministry of Railways. Minister of State in the Ministry of Information and Broadcasting. Minister of State (Independent Charge) of the Ministry of New and Renewable Energy. 10. Shri Hardeep Singh Puri Minister of State (Independent Charge) of the Ministry of Housing and Urban Affairs. Minister of State in the Ministry of Electronics and Information Technology. Minister of State in the Ministry of Statistics and Programme Implementation. Minister of State in the Ministry of Shipping. 3. Shri S.S. Ahluwalia Minister of State in the Ministry of Drinking Water and Sanitation. 4. Shri Ramesh Chandappa Jigajinagi Minister of State in the Ministry of Drinking Water and Sanitation. 5. Shri Ramdas Athawale Minister of State in the Ministry of Social Justice and Empowerment. 6. Shri Vishnu Deo Sai Minister of State in the Ministry of Steel. 7. Shri Ram Kripal Yadav Minister of State in the Ministry of Rural Development. 8. Shri Hansraj Gangaram Ahir Minister of State in the Ministry of Home Affairs. Minister of State in the Ministry of Coal. 10. Shri Rajen Gohain Minister of State in the Ministry of Railways. 11. General (Retd.) V. K. Singh Minister of State in the Ministry of External Affairs. Minister of State in the Ministry of Panchayati Raj. 13. Shri Krishan Pal Minister of State in the Ministry of Social Justice and Empowerment. 14. Shri Jaswantsinh Sumanbhai Bhabhor Minister of State in the Ministry of Tribal Affairs. 15. Shri Shiv Pratap Shukla Minister of State in the Ministry of Finance. 16. Shri Ashwini Kumar Choubey Minister of State in the Ministry of Health and Family Welfare. 17. Shri Sudarshan Bhagat Minister of State in the Ministry of Tribal Affairs. 18. Shri Upendra Kushwaha Minister of State in the Ministry of Human Resource Development. 19. Shri Kiren Rijiju Minister of State in the Ministry of Home Affairs. Minister of State in the Ministry of Minority Affairs. 21. Shri Anantkumar Hegde Minister of State in the Ministry of Skill Development and Entrepreneurship. 22. Shri M. J. Akbar Minister of State in the Ministry of External Affairs. 23. Sadhvi Niranjan Jyoti Minister of State in the Ministry of Food Processing Industries. Minister of State in the Ministry of Earth Sciences. 25. Shri Jayant Sinha Minister of State in the Ministry of Civil Aviation. 26. Shri Babul Supriyo Minister of State in the Ministry of Heavy Industries and Public Enterprises. 27. Shri Vijay Sampla Minister of State in the Ministry of Social Justice and Empowerment. River Development and Ganga Rejuvenation. 29. Shri Ajay Tamta Minister of State in the Ministry of Textiles. 30. Smt. Krishna Raj Minister of State in the Ministry of Agriculture and Farmers Welfare. 32. Smt. Anupriya Patel Minister of State in the Ministry of Health and Family Welfare. Minister of State in the Ministry of Commerce and Industry. Minister of State in the Ministry of Corporate Affairs. 35. Dr. Subhash Ramrao Bhamre Minister of State in the Ministry of Defence. 36. Shri Gajendra Singh Shekhawat Minister of State in the Ministry of Agriculture and Farmers Welfare.